Sara Lombardi began her dance training at an early age under the direction of Nicholas Vasilief in Portland, Oregon. Continuing her dance training through Merleen Stites Studios in Gresham, she also began training in gymnastics. By the age of 17, she had won two state all-around gymnastic championships and a gymnastics scholarship to the University of Oregon. 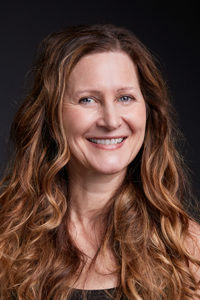 She continued her dance education at the University of Oregon under the tutelage of Susan Zadoff and Caroline Shell where she earned a Master’s degree in Dance Kinesiology and Sports Medicine and became nationally certified as an athletic trainer. After graduation, Sara continued with her dancing career and was a member of the Eugene Ballet Company for six seasons. She was the Administrative Director and a teacher for EBA for six years prior to becoming the school’s owner from 1994 to 2008. Sara is also the Artistic Director of the Eugene Youth Ballet.